The police have arrested the seven abductors of Assistant Comptroller of Customs, Justina Tanko, who was kidnapped on November 11, 2018, from a restaurant she frequented in Onne, Port Harcourt, Rivers State. The suspects were apprehended during a 72-hour operation by the IGP Intelligence Response Team led by DCP Abba Kyari. Those in custody are Zigabari Voonu, 32; Maxwell Barindom, 32; Dele Kunewo-Liaga, 35; Tordi Barinaa, 27; Godspower Keenom, 23; Justice Afangide, 33; and Oludofin Yakubu, 26. Two Ak-47 rifles, a pump action and operational vehicle were recovered. 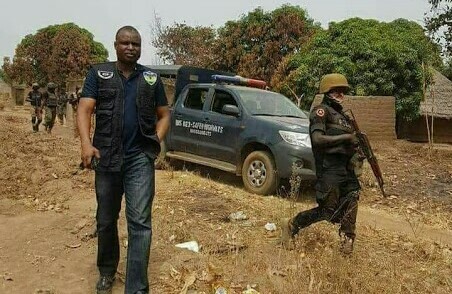 The police also recovered a Volkswagen Golf belonging to one Chibuike Ezenkwu, who was kidnapped in May and later murdered and his body thrown into a river after his abductors had collected ransom from his family. It was said that Ezenkwu was killed by the gang because he identified them. It was learnt that Kyari’s team went after the kidnappers immediately Tanko was released after a negotiated ransom of N5m was paid by her family on November 15. The detectives arrested the first suspect within 24 hours of the operation. A senior police officer stated, “The gang is notorious for kidnap for ransom and thereafter causing the disappearance of their hostages after collecting ransom. One of the suspects, Keenom, alias Immortal, a member of Degbam cult group, reportedly confessed that he got N300,000 from the N3m ransom paid for a kidnap victim, Chibuike Ezewuno.